Once you have selected the perfect slab of granite for your home how do you choose the best finish? There are three main categories of granite finish, Polished, Honed and Leathered. Each finish has its own style and use benefits. In most cases, the decision comes down to design and style. Polished is the most popular choice for a granite finish. The finish is achieved by grinding the stone with fine abrasives to achieve a shiny appearance. Polishing enriches the color of the stone and darkens it from its original state thus adding depth to the design. Enhancing sealers can be used to bring out more nuances of the natural stone. By following a simple maintenance plan, a granite surface will keep this high shine for many years. If for any reason the surface becomes dull, most granite can be buffed and polished again to regain the shiny appearance. Honed granite is not buffed to a high shine like polished granite, resulting in a satin or matte finish that is not glossy in appearance. Honed granite is non-reflective and therefore more subdued than polished granite. Honed granite is an excellent choice for kitchens or bathrooms that already include reflective materials or metallic surfaces. 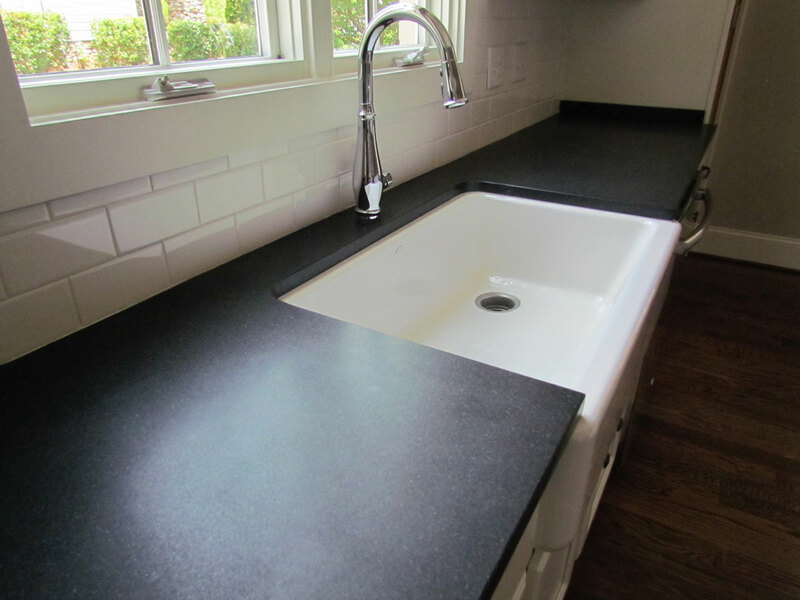 Honed granite is just as durable as polished granite and can benefit from periodic resealing. Leathered granite, also referred to as ‘rough finished granite’, is created when fabricators move diamond-tipped brushes across a honed surface to create the look and feel of textured leather. A leathered finish offers a degree of texture that many find appealing. You will probably catch your family members and guests running their hands along your countertops to feel the surface, time and time again. The leathered finish is also slightly lighter than a polished finish, meaning that a stone that looks jet black when polished may appear as more of a dark grey when leathered. 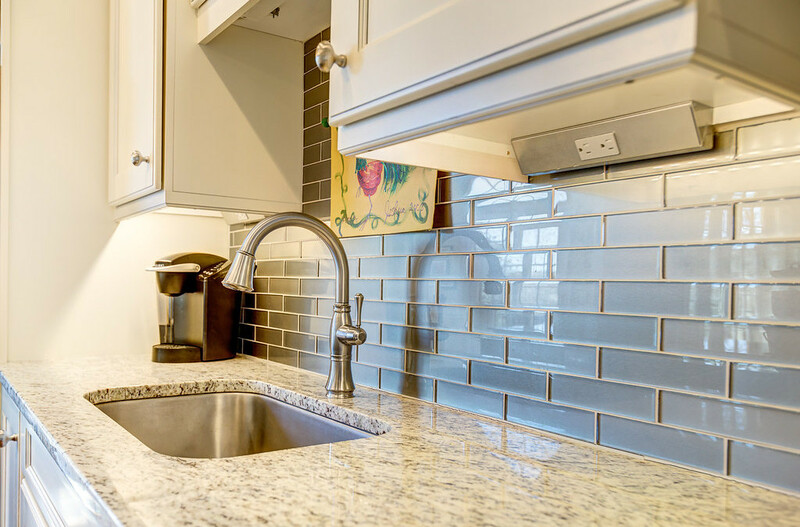 Leathered countertops also hide fingerprints and water spots much more effectively than a polished surface, and they are not reflective. Despite the texturing, the surface is still mostly flat and will not be inconvenient as a surface for dishware. There is no wrong selection and each granite finish can be used in any room of your home. Some homeowners choose to use a high shine polished granite on an island or bar top as an accent and incorporate a honed stone on other surfaces in the room. 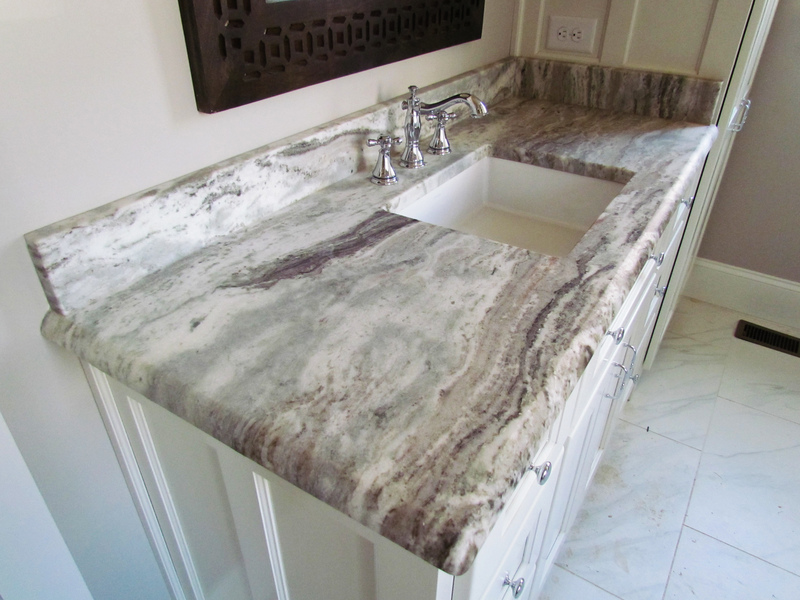 Leathered granite is a popular choice for bathrooms because it hides water spots. Contact Surface One and our design team will help you select the perfect granite color, edge profile and finish for your home.